Savvy Oven Cleaners London is a well-established cleaning service provider, which offers variety of services for commercial and domestic customers in London. In our list of competent and reliable professional cleaning services we have the AGA oven cleaning to suit the needs of those of you who have this type of kitchen appliance. You can count on our technicians to clean you AGA oven completely every time you need that. We are happy to inform you that every member in our team is fully certified with all required qualifications a real expert need. They are trained from special technicians and have the abilities to cover all cleaning needs about the professional AGA oven cleaning requires. Each of them is with recommendations, proven experience and knowledge in the field of AGA cleaning. The expert training of our staff and the latest equipment are in the basics of our great AGA cleaning services in London. Our professionals are with great attitude, friendly and are able to provide the ideal cleaning without time waste. 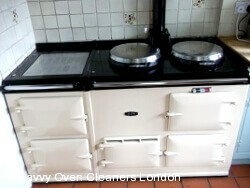 With Savvy Oven Cleaners London you get high-end AGA cleaning service in London for a fair price. No hidden charges! 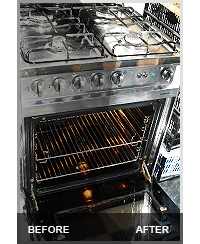 To require your AGA oven cleaning service, learn more about our professionals and other high-class services we provide dial 020 3404 2255. The lines are available 24/7 and our phone operators will help you make a booking within seconds!